Most of the faithful believe that the returned Lord will appear to them in His spiritual body, that is, the spiritual body of the Lord Jesus in which He appeared to man for forty days after His resurrection. We believers are all clear on this matter. On the surface, the spiritual body of the Lord Jesus after He resurrected appears in the same image of His incarnate flesh, but the spiritual body is not constrained by the material world, space, and place. It can appear and disappear at will, leaving man shocked and amazed. Accounts of this are recorded in the Bible. Before the Lord Jesus was crucified, He had been speaking and working in normal humanity of the flesh. Whether He was expressing truth, interacting with men, or performing miracles, men felt He was normal in every way. What men saw was this flesh really and truly doing work and really and truly suffering torment and paying the price. In the end, it was this flesh that was nailed to the cross as the sin offering for man, thereby completing God’s work of redemption. This is widely acknowledged fact. Just think for a moment: If it were the Lord Jesus’ spiritual body doing work, would He be able to associate with and hold normal conversations with men? Could He really and truly suffer torments and pay the price? Could He be nailed to the cross? He could do none of these things. If it were His spiritual body doing the work, could we humans interact with Him easily? Would we betray our corrupt dispositions? Would we form conceptions about Him? Would we dare rebel against and judge God at will? That would be impossible! Men are all imbued with normal humanity, they are all subject to the constraints of the material world, space, and place. Man’s thinking process is also normal. If man were to come into contact with the work of the spiritual body, they would be frightened and seized with panic. Their thoughts would become crazed and maniacal. In this case, God would be hard pressed to achieve success in His work of the salvation of mankind. So, the effect achieved by working within the confines of normal humanity far outpaces that within the spiritual body. Throughout the ages, God’s chosen people have never experienced the work of God’s spiritual body. It would certainly be unsuitable for the spiritual body to directly express truth, interact with people and shepherd the churches. The work of judgment that the second coming of God performs in the last days uses the expression of the word to purify, save, and perfect man, its goal is also to expose and eliminate men, parsing man out, each unto his own kind, and then rewarding the good while punishing the wicked. If God were to appear to man in the form of His spiritual body, all men, good or evil, would prostrate themselves before Him, then how would He separate the good from the evil? Also, if God were to appear in His spiritual body, man would descend into a panic, and chaos would erupt throughout the world. If that were the case, how would God go about normally conducting His work of judgment in the last days? How, also, would God be able to fulfill His plan of making complete a group of men that accord with God’s will before the calamities? So, in the last days, God still must take on a flesh as the Son of man with normal humanity. Only in this way can He work and live within human world, and only in this way can He express the truth and judge, purify man in a practical manner so that man may be wrested from the influences of Satan, be saved by God, and become God’s people. The incarnate Lord Jesus worked within normal humanity to achieve the redemption of humanity. The Lord Jesus’ resurrected spiritual body appeared to man just to prove that the Lord Jesus was the incarnation of God. This was done to strengthen man’s faith. So, God’s spiritual body only came to appear to man, not to do work. God’s incarnate flesh has to have normal humanity to be able to do work amongst man and achieve the redemption and salvation of mankind. So, if God wants to thoroughly save mankind in His work of judgment in the last days, He must be incarnated and do His work in normal humanity to achieve the best effect. He certainly will not appear to man as the Lord Jesus’ spiritual body to do the work of judgment in the last days. This is something that we, the faithful, all must become clear on. … Despite the fact that the Lord Jesus’ spiritual body can appear to man and come face to face with them, the spiritual body still seems unfathomably mysterious and unapproachable to man, He stirs fear and apprehension in their hearts and causes them to keep a respectful distance. Because the Lord Jesus’ spiritual body cannot interact normally with man and cannot perform work and speak normally amongst men, He therefore is incapable of saving mankind. However, God incarnate is different. He can interact with man in a practical and real way. He can water and supply man, just as the Lord Jesus, living in the company of men, was able to express the truth to supply man, anytime and anywhere. His disciples often sat with Him, listening to His teachings and having heart-to-heart discussions with Him. They directly received His watering and shepherding. Whatever problems or difficulties they faced, the Lord Jesus helped resolve them. They were endowed with an enormous share of life supply. They found God to be amiable and lovely. For this reason, they were able to truly love and obey God. Only once the incarnation of God comes into the realm of man do we have the opportunity to interact with, experience and know God. Only then are we able to see God’s wondrousness and wisdom and practical salvation of humankind with our own eyes. 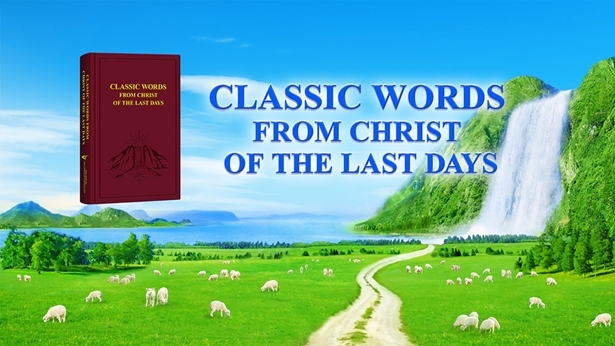 This is one aspect of the significance and practical value of the work of God incarnate. The spiritual body simply cannot achieve this effect. The fellowship above has made one fact very clear to us. Only by being incarnated as the Son of man and working within normal humanity can God practically judge, conquer and purify man. The Lord Jesus’ spiritual body could not achieve nearly the same effect in His work. At first, when God becomes incarnate as the Son of man to do the work of judgment and purification amongst men, we humans will treat God like an ordinary human because we’ve yet to distinguish God’s incarnation for who He really is. We will even form notions with regard to God’s word and work, we’ll treat Christ without respect and refuse to obey Him. We’ll speak in falsities to fool Him, we’ll judge and even oppose and condemn Him. The arrogance, rebelliousness, and resistance of us humans will be fully apparent before Christ. Just as Almighty God says, “The corrupt disposition and rebellion and resistance of man are exposed when he sees Christ, and the rebellion and resistance exposed on such occasion are more absolute and complete than on any other. It is because Christ is the Son of man and possesses normal humanity that man neither honors nor respects Him. It is because God lives in the flesh that the rebellion of man is brought to light thoroughly and vividly. So I say that the coming of Christ has unearthed all the rebellion of mankind and has thrown the nature of mankind into sharp relief. This is called ‘luring a tiger down the mountain’ and ‘luring a wolf out of the cave’” (“Those Incompatible With Christ Are Surely Opponents of God” in The Word Appears in the Flesh). God judges, exposes, prunes and deals with mankind according to the factual reality of their rebellion and resistance. God’s work is truly practical and really reveals men for who they are. When faced with such factual evidence, those who are able to accept the truth will be thoroughly convinced and will admit their own rebellion and resistance. They will also become aware of the holy, righteous and unoffendable disposition of God, and will be able to accept God’s judgment and chastisement submissively, so that they may be conquered and saved by God’s practical work. Just as Almighty God says, “The incarnate God is the enemy of all those who do not know Him. Through judging man’s conceptions and opposition to Him, He discloses all the disobedience of mankind. The effects of His work in the flesh are more apparent than those of the work of the Spirit. And so, the judgment of all mankind is not carried out directly by the Spirit, but is the work of the incarnate God. God in the flesh can be seen and touched by man, and God in the flesh can completely conquer man. In his relationship with God in the flesh, man progresses from opposition to obedience, from persecution to acceptance, from conception to knowledge, and from rejection to love. These are the effects of the work of the incarnate God. Man is only saved through the acceptance of His judgment, only gradually comes to know Him through the words of His mouth, is conquered by Him during his opposition to Him, and receives the life supply from Him during the acceptance of His chastisement. All of this work is the work of God in the flesh, and not the work of God in His identity as the Spirit” (“Corrupt Mankind Is More in Need of the Salvation of God Become Flesh” in The Word Appears in the Flesh). So, man will only be thoroughly purified and saved if it is the incarnation of God that does the work of judgment in the last days. Previous：Question 2: Although those who believe in the Lord know that the Lord Jesus was incarnate God, very few people understand the truth of incarnation. When the Lord returns, if He appears just as the Lord Jesus did, becoming the Son of man and working, people will really have no way to recognize the Lord Jesus and welcome His return. So what really is incarnation? What is the essence of incarnation? Next：Question 4: In the Age of Law, God used Moses to perform His work, so why doesn’t God use a person to carry out His work of judgment in the last days, but God incarnate Himself must do it?